My love affair with roses started when I was a teenager and a wonderful friend brought me a big, beautiful bokay of roses she picked from her mother’s garden. I remember how wonderful they smelled. I was already familiar with that fragrance because in my great grandmothers yard were big thorny bushes that smelled just like those hand-picked pretties. However, I never remember my great grandmother picking any of her roses, they were just a living fence between her and her neighbors. I can only imagine how many bokays could have been created out of those large bushes. I was totally enchanted then and continue to be enchanted now by the beauty and the fragrance of a rose. The memory of those fragrant roses sent me in search of Old Garden Roses. Without the internet is was a bit harder to “track” them down but I found them! Some @ Roses of Yesterday and Today! I can still remember the first catalog from them. I found myself falling in love with every rose. I was totally enchanted with the rose descriptions, the pictures, the names, the history and most of all–their promise of fragrance! 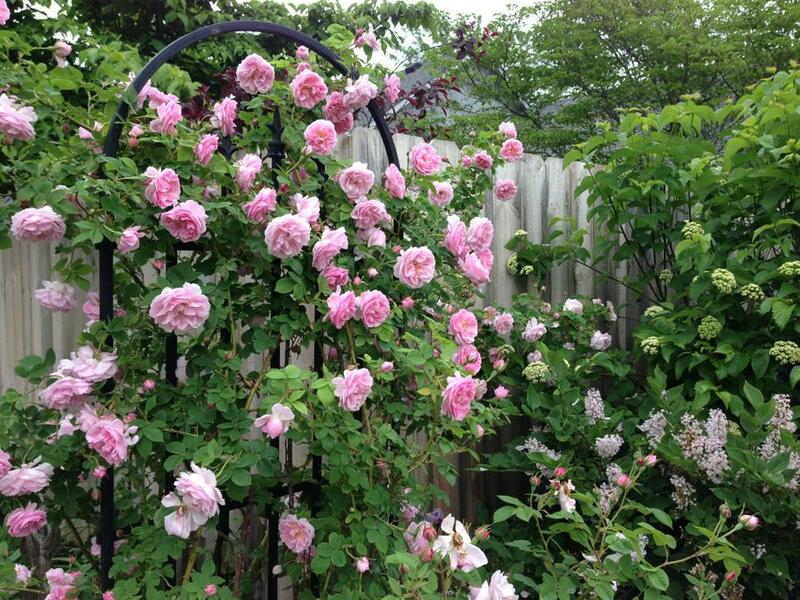 The most fragrant roses in my garden are the Hansa and Roseraie de ‘L Hay. Amazing is the bokay that holds a few of those. They can perfume an entire room. I am more than excited when the growing season comes. I not only love tending my 200+ roses and their companions, but one my life’s greatest pleasures is creating bokays to share. And, reading the history behind the roses, well that is incredibly fun too! How have you been inspired by someone’s gift to you? Here are a few favorite handpicked bokays I’ve had the pleasure of sharing.. 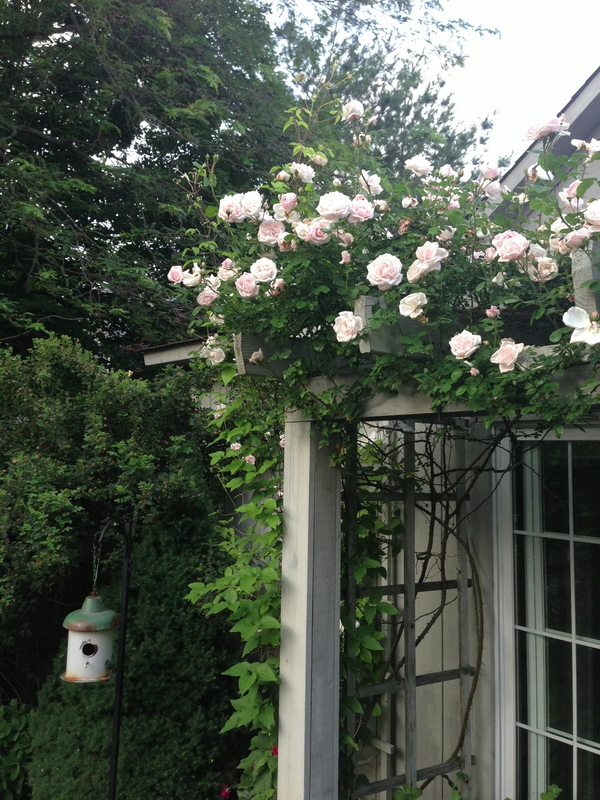 I love climbing roses. They add a beautiful dimension to the garden. Thanks for sharing your garden with us. Good morning Mary. 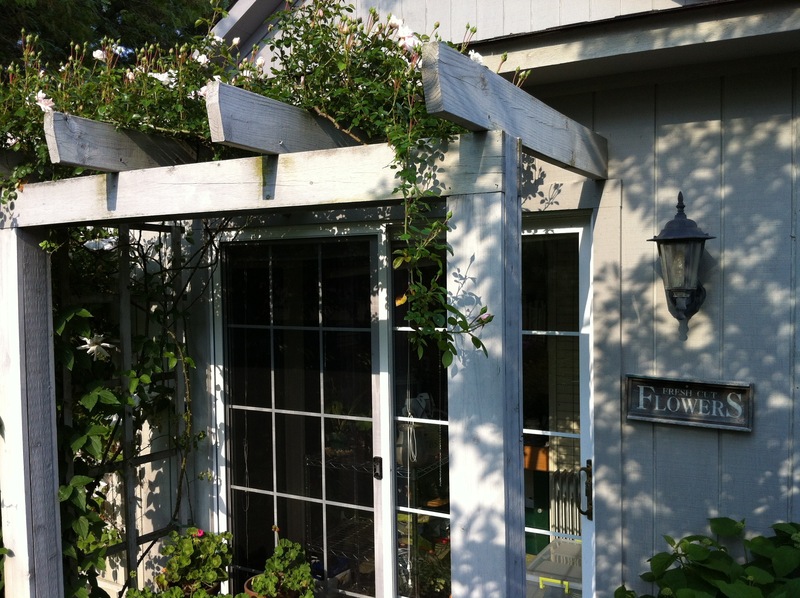 Yes going vertical is so important in a garden’s overall design and a great use of space! Today I have the day off and on the top of my to-do list is to watch my New Dawn climber open! She’s full of buds! Gonna be a good day! Hope you have a fun day in your garden too. Absolutely gorgeous! Wish I had some space with all that sunshine!! Thanks Cherie. I am blessed with both shade and sunshine. But, I am running out of space. Ha! I love fragrant roses, too. If they don’t have a lovely perfume – I won’t grow it. Your bouquet is stunning! 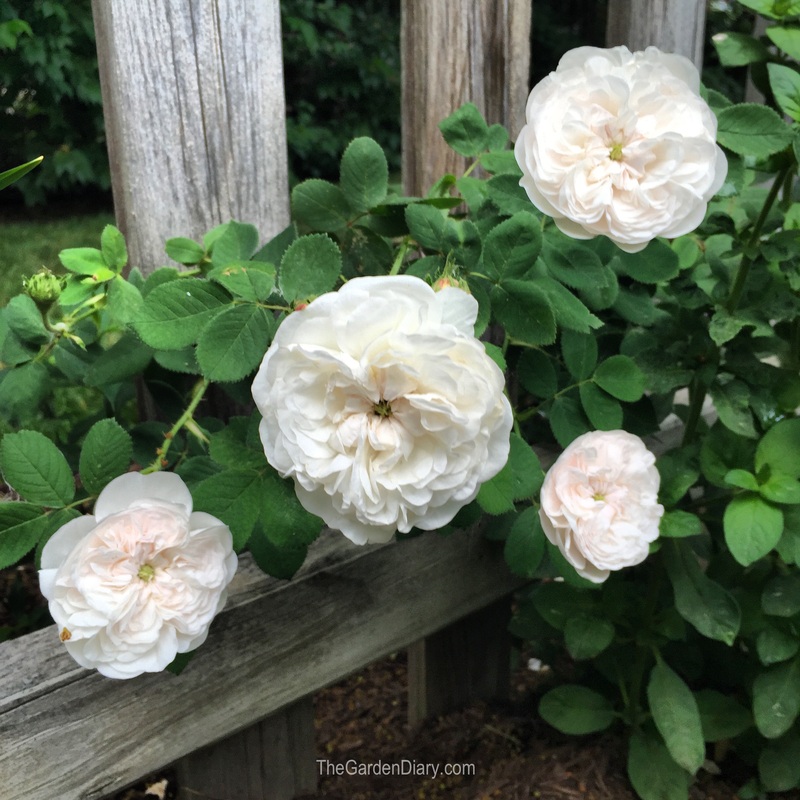 Roseraie de l Hay is my most fragrant rose! I do have a few that don’t have fragrance but it is the first thing I go for. Glad you stopped by, I love sharing my roses! 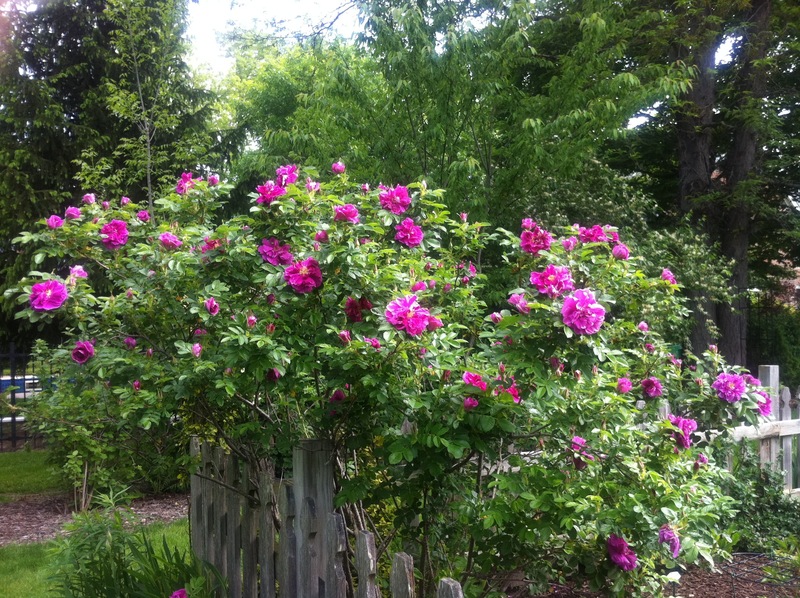 Beautiful rose garden photos. I also have memories of my grandmother and mom growing roses. Garden memories are just the best. My earliest memory is picking flowers to give away at the age of 3. It is one of the most vivid memories of my childhood. Love your roses and garden. Can’t wait for spring — I can smell my beauties already! I know. I simply can’t wait!! What an utterly enchanting website — fabulous photos of your garden, shed and home — just lovely (and what a gem of a husband you have to build all those lovely things!). I’m in California, a former Consulting Rosarian, and you have inspired me to add more roses to my garden, despite the extra work they will provide! Just curious — given your hard winters, do you treat most of your roses as annuals, or do you cover and prep them for the cold weather? You always seem to be planting!! I’ve forwarded your site to other gardening friends whom I know will enjoy it as much I do! Teresa, your bouquets are so beautiful! Please continue to post more photos! I was so blessed to be in your garden last weekend. Your garden is outstanding; you certainly have an eye for design! Thank you, Linda. I am go glad you were able to come! Best wishes with your project! 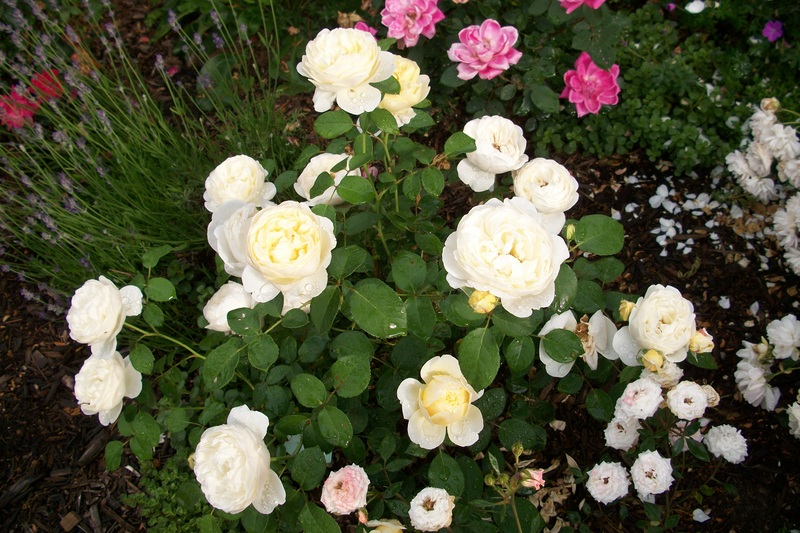 The rose you asked about is Gemini Hybrid Tea. You have created a beautiful garden and website. Thank you for sharing it. Very taken with your bouquets as well. I hope when my roses grow up ill have enough to share! All the bouquets are designed elegantly. i love receiving flowers on official event. Hi, my name is Darcy and I don’t know much about roses. I would like to identify a rose that came with this property I bought. Is there a way to upload a picture? It smells like Ludens cherry cough drops is pink and is in a small tight ball that does not seem to open entirely. Hello Darcy, Could you send pictures to my email? TeresaByington@gmail.com I would love to take a look and see what I can find out about your rose. What is your growing zone or state? Look forward to hearing from you.